We are human becomings, after all. It’s a journey of becoming fully human and we do not know what we can become. In its most universal form, conversion is moving from this to this, a capability we seem to have in abundance, though we can be held back. So forgiveness becomes a huge deal when it comes to setting one another and ourselves free from our pasts, hence the doodle today. The Jesuits also emphasised indifference as a critical attitude towards what we must let go of if we are to move into a brighter future. 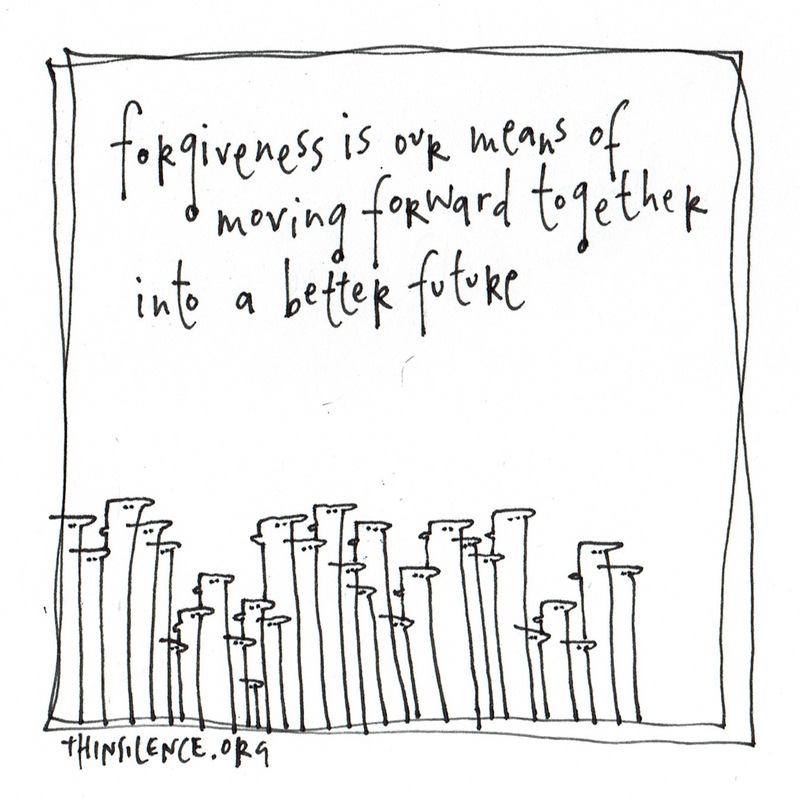 Whilst forgiveness can be more about when things go wrong, indifference can be more about letting past successes (or dreams of certain kinds of success) go so we can move on. The future can beckon in these two forms, too. There can be thing that is wrong or not working right and we want to do something about it. There’s can also the dream of something, we don’t know where it comes from, and it seeds itself in our imaginations and we wonder, What if … ? We’re not done yet. We’re just beginning. The book of Tao te Ching speaks of non-acting, a term which holds together indifference and forgiveness. It can be understood as letting go. Or: “do without doing and everything will do itself”. The same concept echoes in aikido, where one uses the aggression towards oneself as a a source of energy to work with, while remaining attentive and peaceful. It is said (in aikido) that once you chose to battle, you already lost. By applying forgiveness and indifference, we become observers, accept and embrace events and move with the current rather than against it. I love this. Thank you, Shirley.